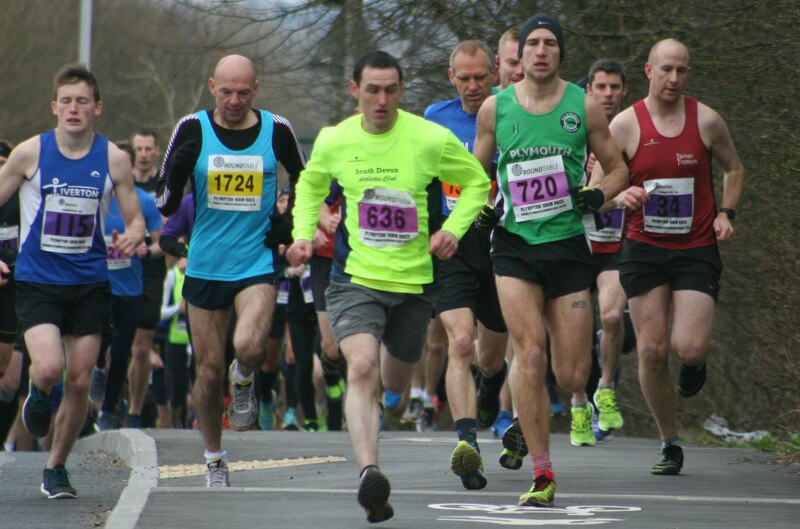 TIVERTON’S Christian Hewitt edged out City of Plymouth’s Matthew Bradley to win the Mad March Hare 10k on Sunday. Hewitt came home in a time of 35 minutes and 33 seconds, with Bradley finishing in 35.44. South Devon’s David Hampton was third in 35.48, with Plymstock Road Runners’ Graham Bale fourth and first over-50 home in 36.01. Fellow over-50 runner, Alan Ryder, of Plymouth Musketeers was fifth in 37.08. South Devon’s Michelle Cowley was first women home in 40.53. The annual run, which starts and finishes at Plymouth Devils’ speedway track at Marsh Mills and takes athletes out through Saltram, saw 249 finishers.